Top 10 Adventures from around the World! From incredible aquatic adventure travel expeditions to exhilarating aerial trysts and electrifying exploits on terra firma, our list of top 10 adventures from around the world will take your breath away! Some experiences in life are worth living for. Discover them today. On the Zambezi River, 23 rapids, sheer cliffs and gorgeous scenery await you at the Batoka Gorge. Imaginatively named The Stairway to Heaven, The Washing Machine, Devil’s Toilet and The Terminator, these rapids are a top draw for adrenaline junkies. The best time to travel is between June to February, if you wish to navigate all 23. 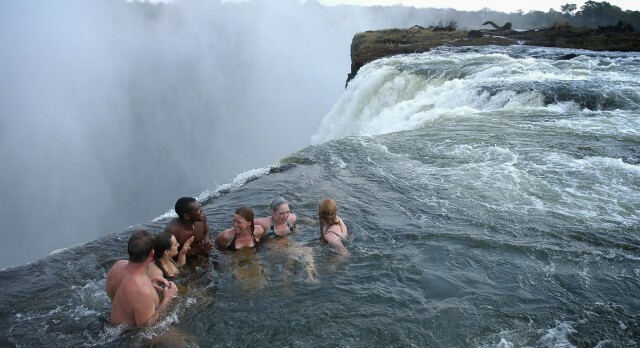 In the dry season, a rock on the edge of the Victoria Falls forms a natural eddy, allowing people to swim in relative safety, just a few feet from the cascade. Great White Sharks are seriously misunderstood, especially since Jaws and every other shark-themed movie scared us to death! However, sharks rarely attack humans. 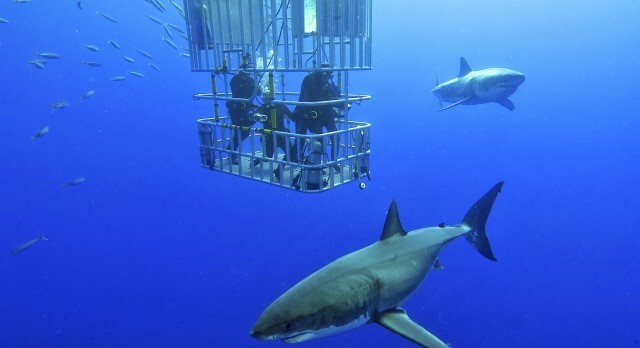 Dyers Island, off the coast of South Africa, has a large colony of shark fodder, er.. we mean sea lions, and attracts many sharks. Boats are always equipped with diving instructors and experienced seamen to keep you safe. Thousands of animals gather at the Okavango Delta during the dry season, when the water floods the delta and it’s dry everywhere else. Mokoros are sturdy traditional canoes used to navigate the shallow waters of this delta. 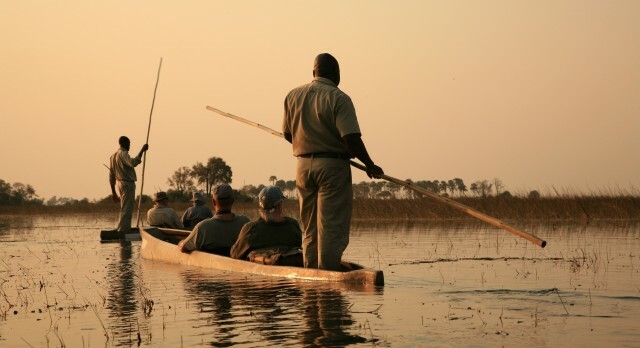 The canoe takes you through the winding waterways into the wild heart of the region, to see elephants herds resting in relative peace, hippos skulking in the water, and watchful predators waiting for opportunities. Explore beautiful Bariloche on a canoe ride through the enchanting Lake Nahuel Huapi. Part of the Lake District, Nahuel Huapi National Park is the oldest in the country and known for its wonderfully scenic views. A kayak takes you through the sparkling waters of the lake to hidden bays and secret coasts that only few people know. Hundreds of southern right whales and humpbacks travel to warmer climates from the icy Antarctic region between June and December. Whether you are standing on a cliff or daring enough to venture out to sea by boat, there are plenty of opportunities in Overberg to witness the fabulous acrobatics courtesy of these gentle giants. 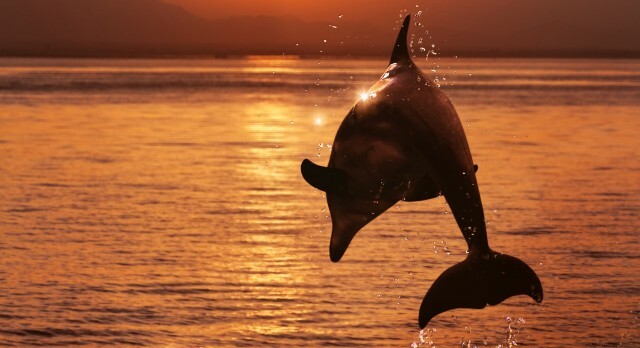 You’ll see plenty of friendly dolphins as well. Fancy speeding down a tall sand dune at 70 kmph? Namibia is the place for you! At Swakopmund, there are experts who determine the steep and shallow portions of sand dunes and provide lessons for beginners and safety instructions for everyone else. Off you go! Zoom down from some of the highest dunes in the world, strapped to a board or with no bindings, as you enjoy magnificent views of the haunting vastness all around you. 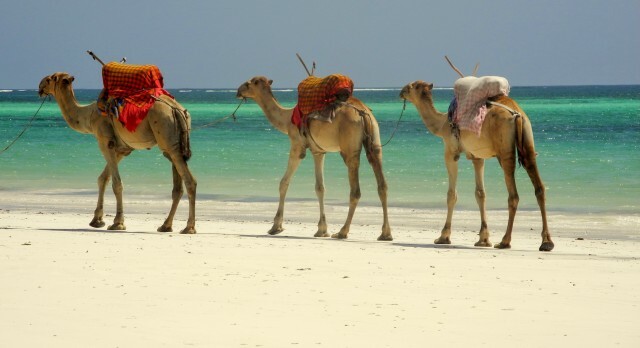 Camels, the ever-popular and mild mannered ships of the desert, are a common sight in Kenya. These well-trained animals take their passengers through the beautiful and unspoilt countryside at a leisurely pace – a perfect way to have a relaxed safari experience! Your camel safari can be as short as an hour or a take a full day, depending on your preference. Several conservation projects work tirelessly in Namibia to protect wild rhinos from poachers and hunters. At Etosha, expert guides take you on a tour to see these nearly-endangered animals from close quarters, without disrupting their natural habitat or causing them discomfort. 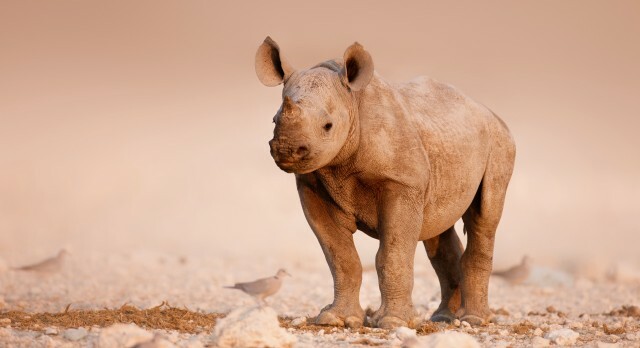 Follow hidden trails across a stunning salt pan on your guided Namibia tours, to see black rhinos and the recently reintroduced white rhinos standing just a few feet away! 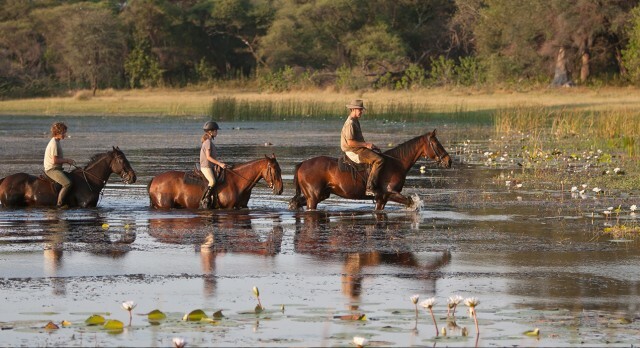 Watching the diverse wildlife on horseback is considered to be one of the ultimate luxuries in Botswana, taking you to secret regions where no vehicle has dared to go before! The area offers unmatched wildlife experiences and expert guides offer unbiased advice on the best game viewing areas and times. Saddle up and ride into the stunning horizon. Spanning an immense territory in southern Argentina and Chile, Patagonia is famous both for its legendary beauty as well as cultural heritage. 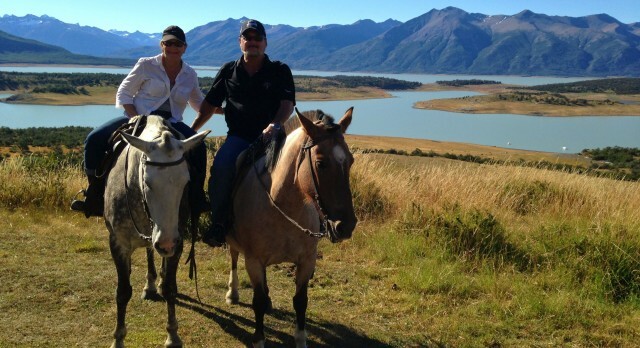 Our guests Charles and Aida Weissman, on horseback in Patagonia! Horse rides take you right into the heart of the wild lands, past the rugged Atlantic Coast teeming with wildlife, to the glacier-cleaved Andes standing tall and proud. 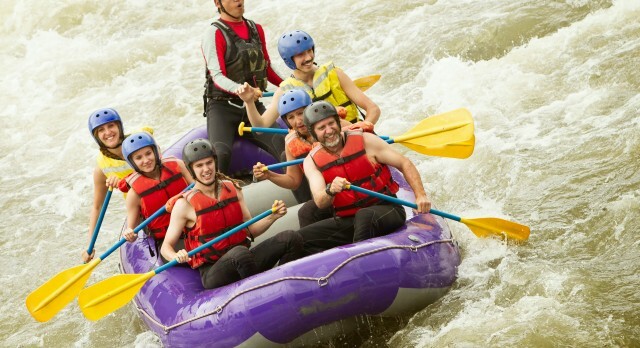 Rishikesh, at the foothill of the Himalayas, is a hotbed for adventure sports – from intense rapids on the River Ganges, and body surfing, to mountain climbing and paragliding, this small town offers it all! 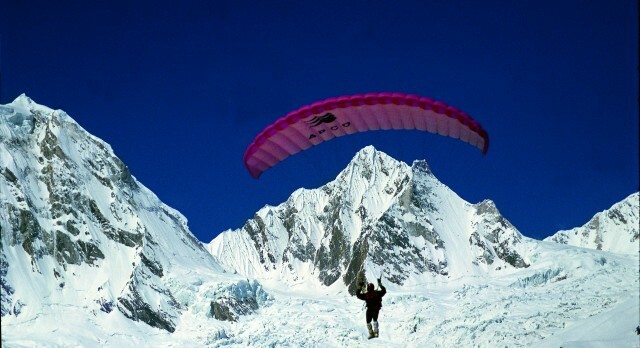 However, the most exciting of these are the bungee jumping and paragliding experiences. Our experts will train and give you a safety briefing first before you climb to a high cliff top and check your equipment. Then you are off! Soar high over the Smoke that Thunders – the local name for the roaring Victoria Falls. 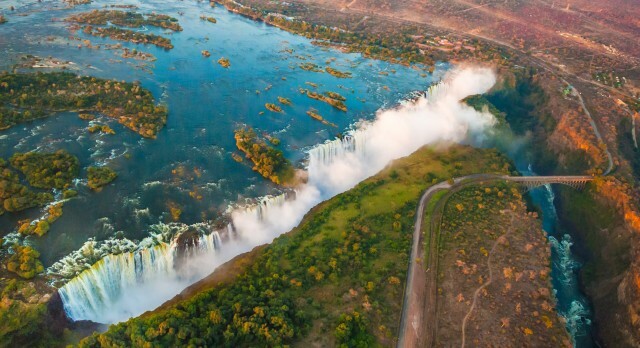 At 5,604 feet wide, the majestic falls are certainly Africa’s most dramatic, and a helicopter ride over them offer you a stunning view of the vast expanse of water – truly a once in a lifetime experience! Plan your personal, tailor-made adventure in an exotic destination. Contact us today for a tailor-made itinerary. Click here to plan your very own private adventure!